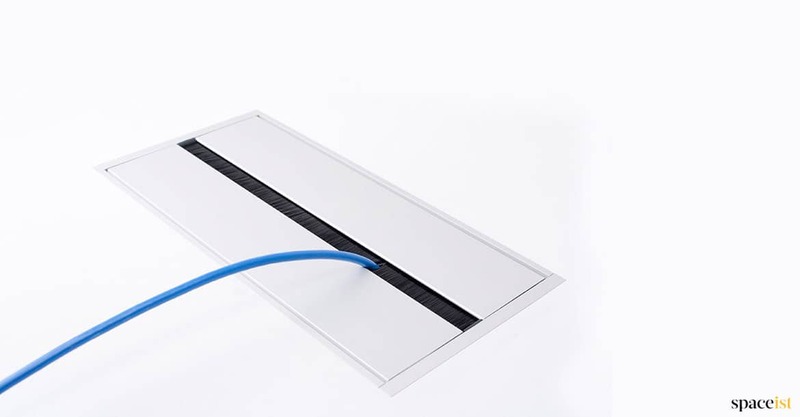 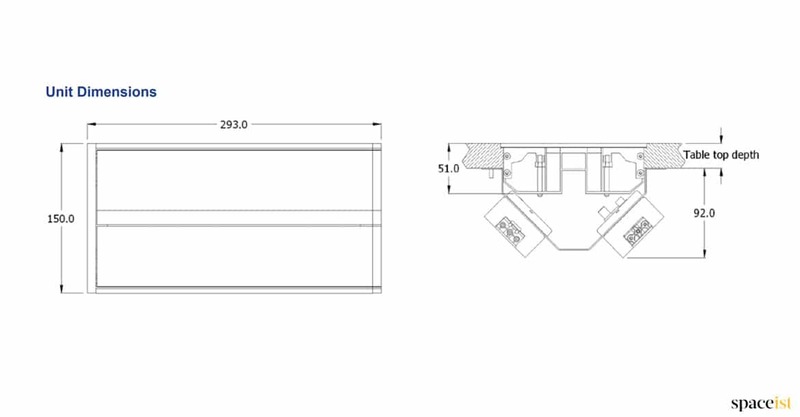 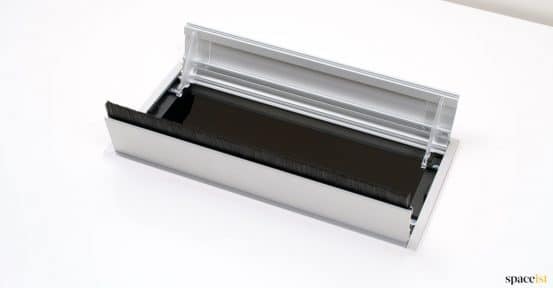 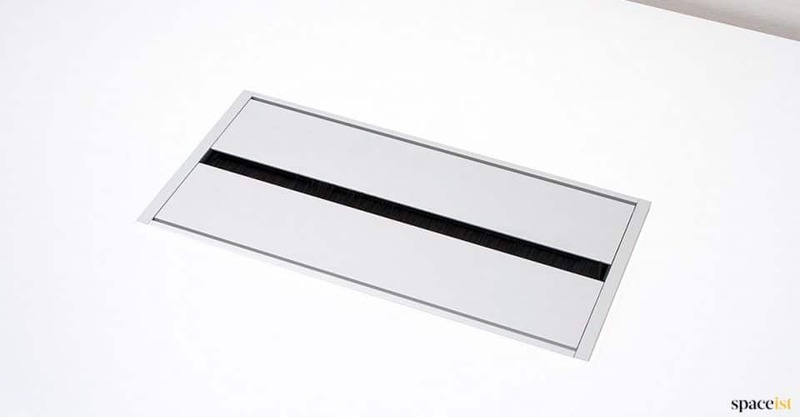 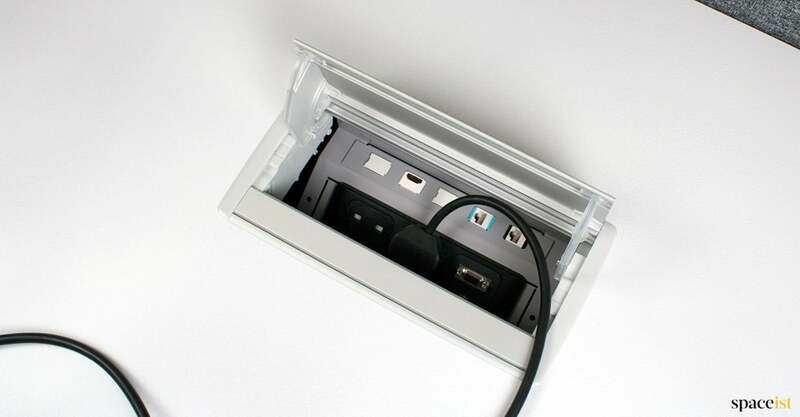 Large in-surface socket unit with double doors in aluminium. 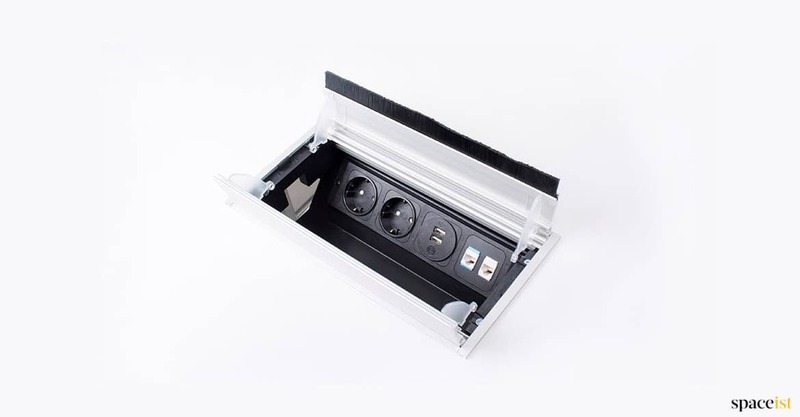 The unit comes with 8 sections which can be filled with UK plug, USB charger, USB data, Ethernet RJ45, HDMI, VGA or VGA stereo points. 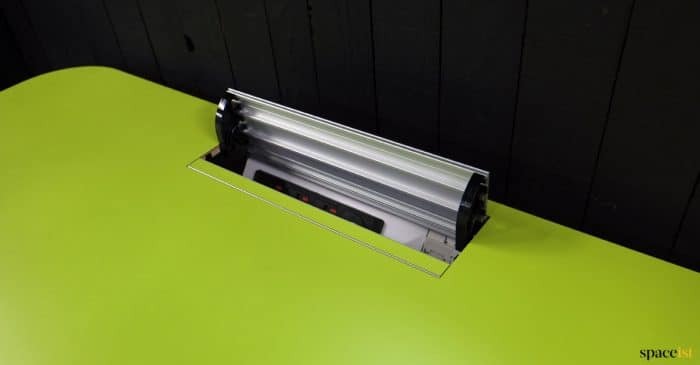 Fits most meeting room tables and bench desks. 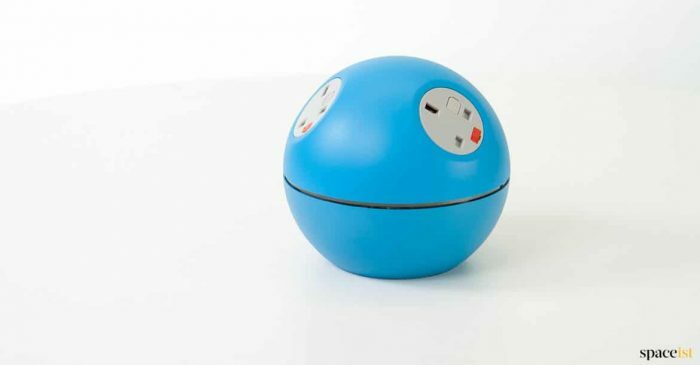 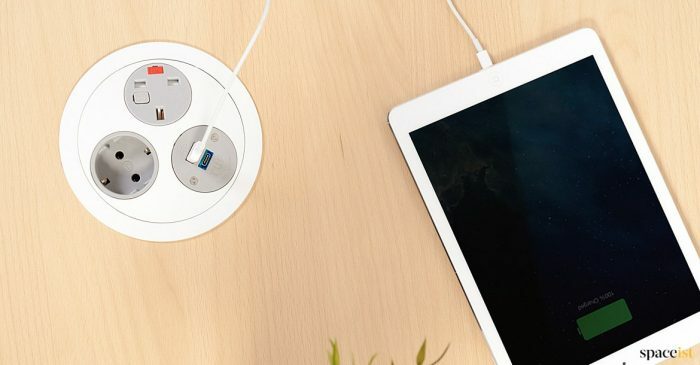 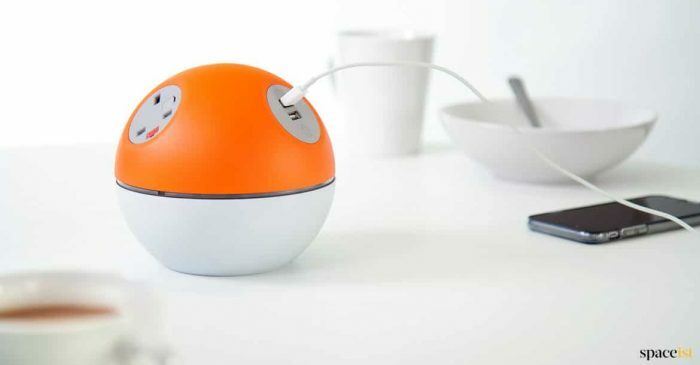 Rotating plug & USB socket for meeting tables or office desks. 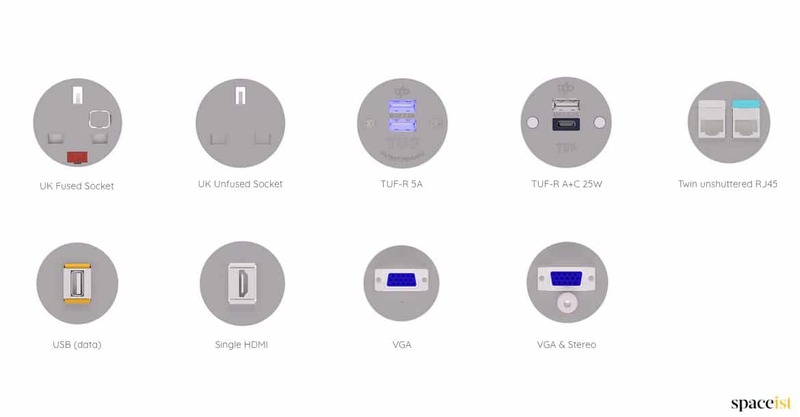 Options include UK plug, USB charger, USB data, Ethernet RJ45, HDMI, VGA or VGA stereo. 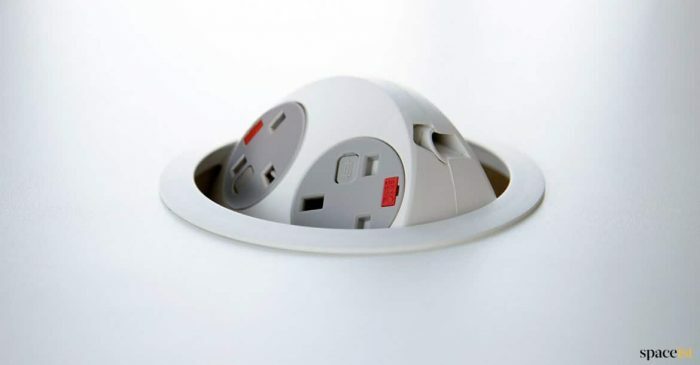 Tool free fitting. 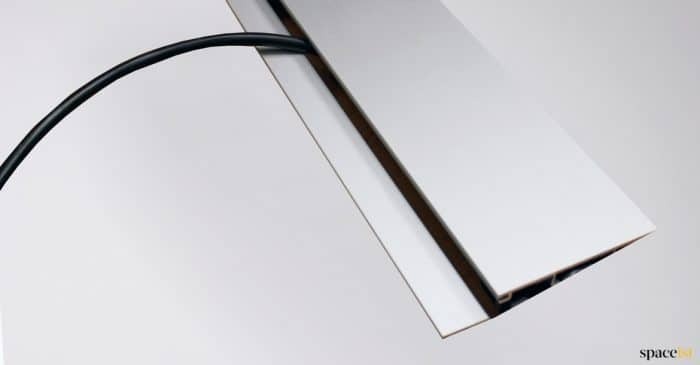 Plug socket unit that fits flush to the table top. 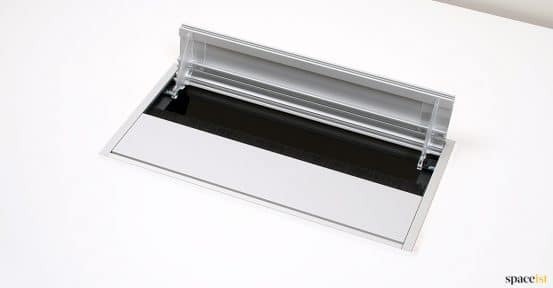 Colours include natural aluminium or to match the top colour. All types of plug & USB sockets can be used.